This is the nigth event of the Industrial Conference on Data Mining held in New York, USA (www.data-mining-forum.de). Ten papers from the poster presentations are published in the ICDM Poster Proceeding Volume. Two papers for the Workshop on Case-Based Reasoning. Three papers for the Workshop on Data Mining in Marketing, and one paper for the Workshop Data Mining in Agriculture. 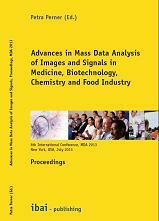 This is the seventh event of the International Conference on Advances in Mass Data Analysis of Image and Signals in Medicine, Biotechnology, Chemistry and Food Industry held in Berlin, Germany (www.mda-signals.de). Six papers on general topics are published in this book. These topics are: Artificial Intelligent Methods for Clinical Aspects, Image Interpretation for Veterinary and Agricultural Aspects, Biometry and Image-Based Diagnosis for Predicting Health Status, Image Segmentation for different Aspects, Speech Recognition. This is the 13th event of the Intern. 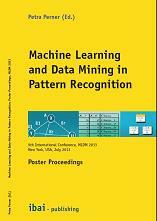 Conference on Machine Learning and Data Mining in Pattern Recognition MLDM2013 and the first Workshop on Intelligent Pattern Recognition and Analysis WIPRA. held in New York, USA (www.mldm.de). Eight papers from the poster presentations are published in the MLDM Poster Proceedings Volume and eight papers are published in the WIPRA Proceeding Volume. Two long papers late are published in this proceeding volume.